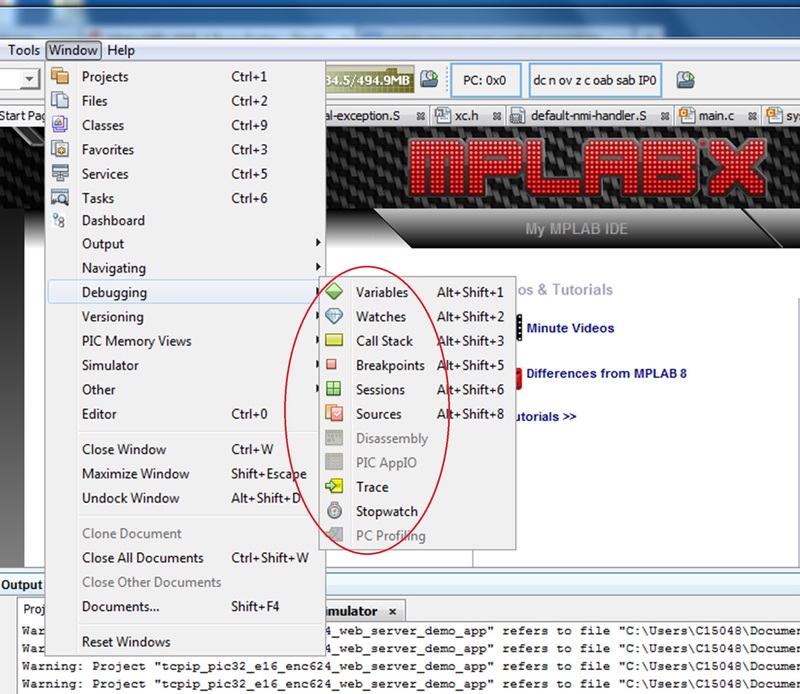 To save system resources, only bring up windows that you need to view during debug. 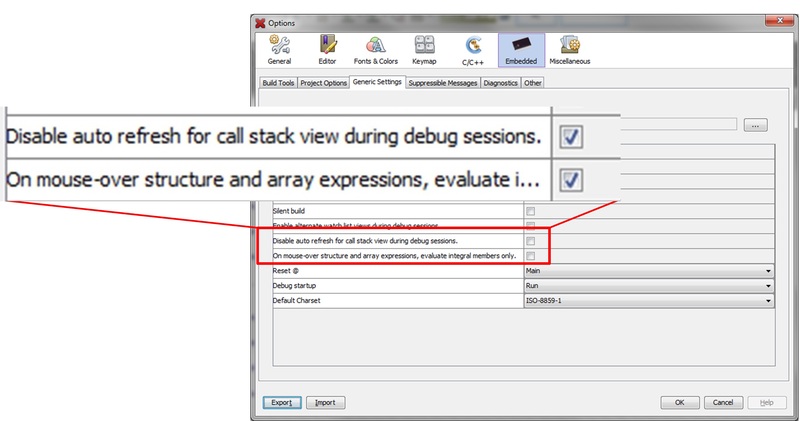 By selecting "Disable auto refresh for call stack view during debug sessions." in the Generic Settings, you reduce the number of updates in the stack window during debug sessions. By checking on "On mouse-over structure and array expressions, evaluate integral members only", debug only evaluates single level content during mouse-over, i.e. the top level item of the structure will be resolved and displayed only. This option improves IDE performance because it prevents reading and displaying the full data structure which requires numerous calls to the target device.